Accessories can either make or break an outfit. Ladies, If you have tons of accessories that are all over the place, keep reading! And it’s true, accessories can enhance an outfit, but too many accessories can clash with each other, so you must be careful choosing which accessories to use. Organizing everything will help with your decision! First off, Happy New Year, everyone! This is my first post of 2012. Hope you all are having a great start to the new year! It’s a great time to declutter and organize your accessories. Before I organized my jewellery, scarves & belts, they were all either thrown in a drawer or sprawled in random parts of my room. I decided that I needed a better way to organize my accessories so that they were more easily accessible and easier for me to pick something out. For my scarves, I would only usually use 2 of the 20 that I forgot I had! & that was because they were hidden and tucked away in a drawer. 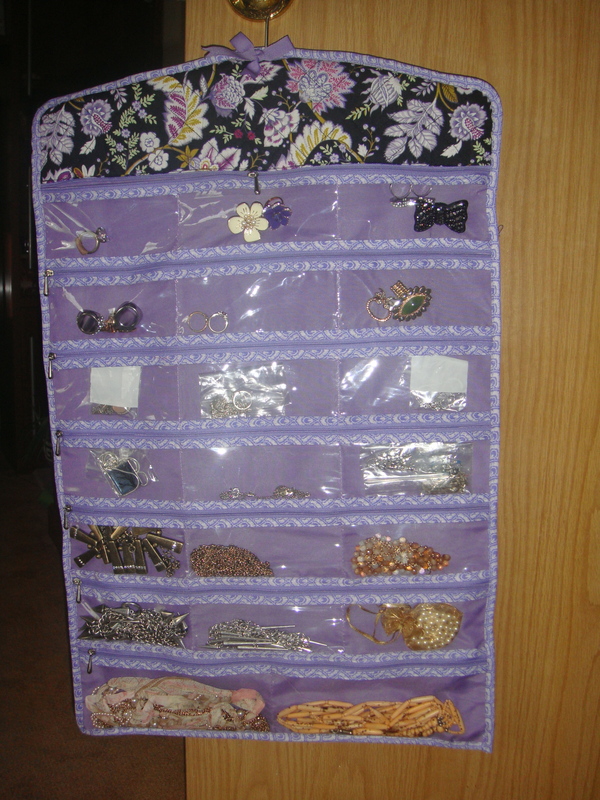 For your jewellery (costume or not), a great way to organize your pieces is to purchase a hanging jewellery organizer. I got mine from Winners (a store that sells practically everything at discount prices) for about $15. It is also double sided, so it fits a great amount of pieces and it also contains zippers, which is great to keep dust out. 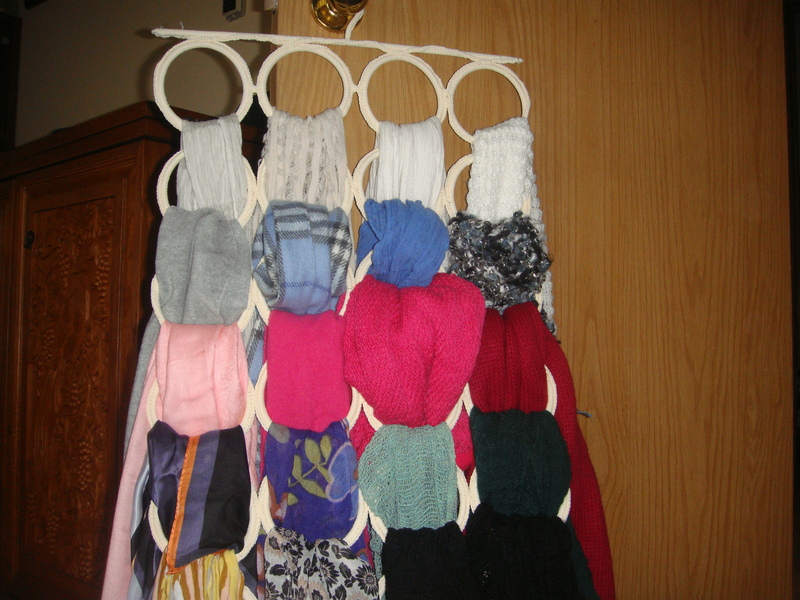 For your scarves, a multi-use hanger is a great way to sort and organize them. I purchased mine from IKEA for about $10. For your belts, a perfect way to lay them out is an over the door hanger. You can get these in home stores such as Home Outfitters, Winners, etc. 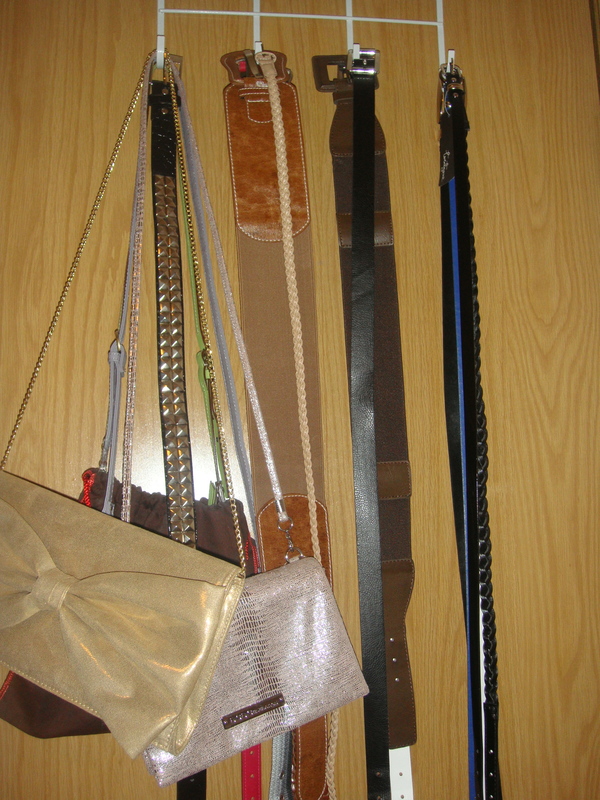 This hanger is also great to organize your small shoulder bags & scarves if you would like. That is all. I hope these tips have helped! i also have the multi use hanger from ikea. i use it to hang my tank tops and camisoles. Great idea! Love the versatility of that hanger. Thanks for sharing.